Throughout the 2012 presidential campaign, we heard an awful lot about "gaps." There was the “gender gap,” where women favored Democrats because of their distrust of Republicans on issues such as choice; the “Latino gap,” where voters of Latin American descent supported Democratic candidates because of their distrust of Republicans on immigration; and the “white working class gap,” where white, blue collar workers backed Mitt Romney because they distrusted President Barack Obama's handling of the economy. In fact, what all of these voter cohort gaps speak to is the yawning gap that exists not just in politics but in virtually every sector of society -- the “trust gap.” Today, as has been well-documented, trust in almost all institutions is at or near historic lows. Perhaps nowhere is the reality of the impact of this trust gap demonstrated more clearly than by the fact that we live in an age where crisis is the constant state of nature. At its essence, crisis is really about a loss of trust in an individual, business, or organization by those core audiences whose perceptions will determine the future of that individual, business, or organization. For example, a business's core audience could be its shareholders, clients, or customers. And because of the trust gap, there now exists a constant state of crisis everywhere and impacting everyone, whether you are big or small, established or less established, powerful or not so powerful. The cold, hard reality is whether one is a business protecting a brand, a public figure guarding his or her image, or that guy or women in the cubicle defending his or her reputation, if you do not fight back, after even a short, nasty, or brutish experience in the modern spin cycle, you will no longer have your brand, reputation, or image. Given this trust gap, to fight back the right way, you must be prepared to engage in an approach to damage control whose organizing principal is the imperative of re-establishing trust with your core audiences by adhering to three principals of survival. In responding to a crisis, it must be understood that what has happened, has happened; nothing can be done to reverse events. One will be judged by whether one handles the crisis going forward in a manner that re-builds trust through transparency, openness, and accountability. Thus, when the juice manufacturer Odwalla found itself in a hole because of deaths associated with contaminated drinks, the company stopped digging and did the right thing by apologizing and making clear what it was going to do address the safety concerns. When a crisis strikes an individual or an organization, it is critical to avoid the panicking amidst the fog of a crisis by having the discipline to execute on a plan whose objective is to take action that makes clear that the entity is trustworthy. Apple successfully executed such a plan. When confronted with reports of labor practices at its China-based manufacturing facilities, it brought in a respected outside non-governmental organization to review the issue and provide a set of recommendations. If trust is the North Star one needs to point to when steering a company during a crisis, credibility is the route one must follow to get to trust. Gen. David Petraeus can look to former New York Gov. 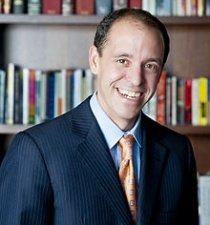 Elliot Spitzer's acceptance of responsibility for his personal misconduct, which put him in the position to be able to mount a professional comeback sooner and more effectively than if he had sought to deny the issue or offer an excuse. The trust gap means that more than ever before, those who find themselves in a crisis need to consider Mark Twain's damage control advice that succinctly sums up the principals of survival: "When in doubt, tell the truth." Christopher Lehane, a partner at crisis communications firm Fabiani & Lehane and lecturer at Stanford's Graduate School of Business, is a former special assistant counsel to President Bill Clinton and co-author of the upcoming book Masters of Disaster: The Ten Commandments of Damage Control.